Creating a new character and playable character slots in Red Dead Redemption 2 Online are important, as with any online game. Perhaps you’re unhappy with your character, and want to start over. Or, you might want to have more that one character. 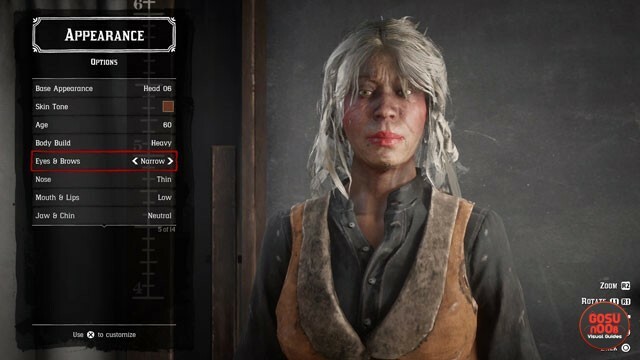 Either way, you’ll want to know hoe many playable character slots there are in RDR2 online, or how to create another character, or how to delete your character. Our RDR2 Online Playable Character Slots & How to Create New Character guide will help you by answering these questions. How Many Playable Character Slots Are There in Red Dead Online? There is only one character slot in Red Dead Online, as far as we can tell. Unfortunately, you can only have that one character that you’ve made at a time. If you want to make another character for whatever reason, you’ll have to delete the one you currently have. That’s the only way we see. To delete your character, you have to go into the game’s menu. Go to the Player tab, and select it. In the next screen, press and hold Square on PlayStation or X on Xbox to delete your character. This is, of course, if you really, truly dislike the character enough to get rid of it and start over. Make sure you really mean it. Or, you know, take care to make a character that you really want to stick with and that goes well with your gameplay style. How to Create New Character in Red Dead Redemption 2 Online? To create a new character in Red Dead Redemption 2 Online, you first have to delete the one that you’ve already made. As we’ve pointed out above, there’s no way we can see to create a second character, so deleting the one you already have is the only way to go about it. The first thing you have to do is to go into the game menu, and select the Player option. Then, just press and hold X on Xbox One or Square on the PlayStation 4 to delete the character. Just, you know, make sure you really, really, really mean it and want to do it. Everything you’ve done up to that point is going to reset. After you’ve done that, you’re free to create a new character that’s more to your liking from the ground up. If you need further help with Red Dead Online, feel free to check out our other guides on the subject. Among others, we have How to Get Gold Nuggets, Where to find Ultimate Edition Bonus Items, and Create Posse & Play with Friends.